We recently rolled out our Sourcing Suite, which helps all customers optimize applicant sourcing spend and drive quality applicants to open roles. Below, we’ve outlined the key components of our Sourcing Suite and the latest enhancements. CS Basic: This option is great for small organizations looking to launch their employment brand and highlight open roles. Key features include: Highlighted job openings in a mobile-friendly website, an overview of open jobs, company history, culture, and benefits, and branding with your colors, logo and photos. CS Pro: This solution is designed for organizations that desire more performance from their career site, use social media, and want to share content to help excite top applicants. Key features include: Everything in the CS Basic package, along with SEO optimization, employment brand and social media audit and review, and monthly content updates and performance reviews. CS Enterprise: This option is intended for larger organizations looking to showcase company history, career paths, and workplace culture in a feature-rich site that also includes photos and is optimized for engaged and mobile job applicants. Key features include: Everything in the CS Pro package, along with a multi-page site design built for large organizations, a tailored organizational chart and career development path, and Google AMP technology for up to a 15% boost in mobile traffic. When you need a quick surge of applicants, sponsored national and industry-specific job board posts are available for purchase through Hireology. We constantly evaluate applicant sourcing channels to ensure each source is delivering quality applicants for a competitive cost per hire and ROI. Leveraging knowledge of top-performing job applicant sources across unique roles and verticals, we’re pleased to introduce our newest job board option, SmartPost by Hireology. This new short-term, sponsored post provides targeted distribution for your jobs across a network of more than 500 job boards with one click. SmartPost is proven to deliver 1.5x more quality candidates than traditional sponsored job boards and is now available for purchase through your Hireology account. Hireology’s Sourcing Insight answers the question, “What is my best source of applicants?” and provides full transparency into the total number of applicants, quality candidates and hires by source. The Insight further provides central visibility into sponsored job board performance, including total sponsored posts purchased, dollars spent, quality applicants sourced, and average cost per quality applicant. Continuing our commitment to helping you source quality candidates and build your best team, we’ll soon launch a new view in the Sourcing Insight, which will help your organization drive further costs savings. This update will enable you to drill down within each source to further understand ROI for unique roles. 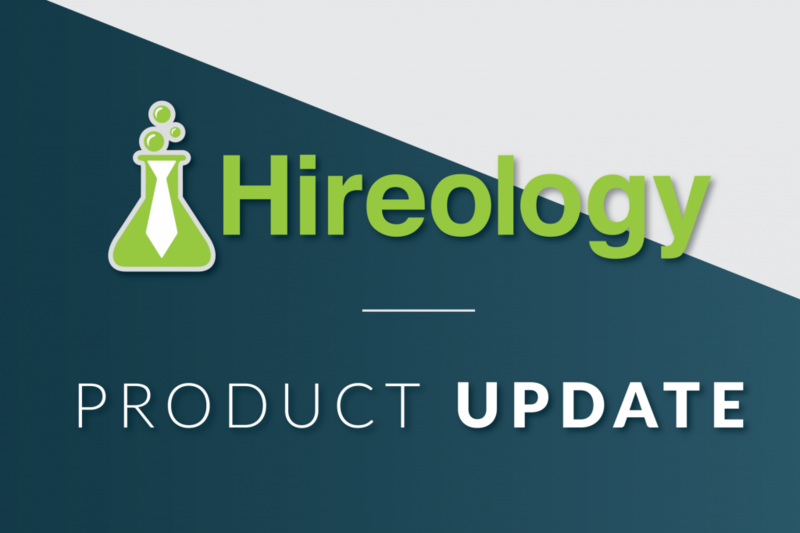 We’re continuously working on new enhancements to the Hireology platform. Sign up for our blog below to make sure you don’t miss the latest updates.